We create great garden and landscape designs. We are focused on delivering innovative design and excellence at all stages of the design process. 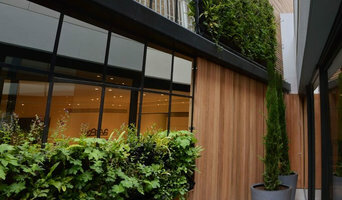 Whether you need large corporate landscapes or small intimate spaces we offer our clients a unique and personal journey. We have over 30 years experience and the team always ensures that professional standards and no nonsense project management are at the forefront of what we do. We endeavour to be sustainable and embed ethical practices and sourcing of materials, where practical and economically viable. We run courses to teach others what we know. We write books and some pretty useful articles in several trade journals and monthly magazines. Above all we enjoy our work and this shows in our designs and service to our clients. I'm a professional garden designer with over 25 years of experience designing private gardens from small courtyards to large country estates. Wilding Landscape Group is a company based in Salisbury, where we operate a number of different companies - ranging from civil service engineering, to artificial grass installation. Wessex Artificial Grass have a wide range of artificial grass to suit all budgets and tastes. All of our ranges have a realistic look and colour. It is ideal for any size of back or front garden, however irregular your space. For expert security solutions you need look no further than Photinia Security. We provide our services to both private and public organisations in Salisbury and across the whole of the UK. Henley Gardeners is a Salisbury based landscape and civil engineering company operating throughout the UK for domestic and commercial projects. We provide high quality professional works carried out by our experienced, qualified and security vetted staff. Gaia Landscapes offers a wide range of gardening and landscaping services tailored to your needs. Whether you're looking to update your garden at home, or would like professional landscaping services for your business, feel free to take a look at our gallery for some inspiration. As a husband and wife team we are totally dedicated to our work and constantly strive to meet the highest standards for our customers whilst maintaining 'attention to detail' in all we do. 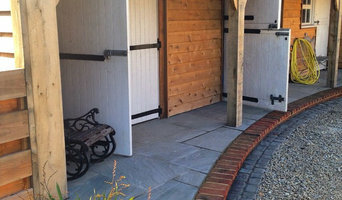 Over the years many of our customers have often asked us to complete work inside their homes during our time in their garden, jobs they have been unable to do themselves but, for us, were simple DIY tasks which we were able to complete for them in no-time. We all see our gardens differently and want different things from them. Perhaps you have just moved and are faced with the dreaded green rectangle; or the children have left home and you now want a garden for yourselves. Or maybe you feel the garden just simply doesn't look as attractive as it could. Whatever the reason for contacting me, my job is to understand your brief and then create a new outdoor space that gives you room to relax, entertain and feel inspired. Whatever the size, style, or budget, as a professional garden designer I offer experience, practicality and passion to realise your dreams and aspirations. DC Inc is a garden design, construction and maintenance company. With over 10 years of experience in the landscaping industry, owner Craig has gained an impressive talent for landscape design and construction. Trained in all aspects of Landscaping by a highly reputable local landscaping company and being employed as Foreman, Craig has constructed BALI and APL award winning gardens and therefore has an inherent ability to create stunning gardens to any specification. Working for both large and small companies alike over the last decade, Craig has an understanding of the differing needs of the varying sizes and shapes of outdoor space. 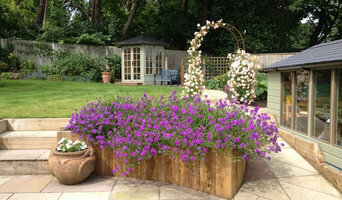 Wildflower Turf Ltd is the leading supplier of Wildflower Turf products in the UK. The company developed the concept of Wildflower Turf in 2003 and now produces a range of innovative turf products that have considerable benefits to specifiers, installers, estate managers and landowners. The company has an award winning pedigree and implements a policy of ‘continuous improvement’ to retain and build upon it’s industry leading position. We are a professional, friendly & reliable team of landscapers in Chichester, West Sussex dedicated to providing high quality landscaped gardens & garden maintenance for commercial and domestic clients throughout West & East Sussex, Hampshire & Surrey. Robert Day has over twenty years’ experience in the field of horticulture, propagation and nursery maintenance. 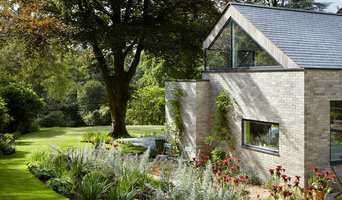 He gained much additional expertise helping with his family’s construction company where his skills were developed by designing the gardens. In addition to creating a stunning garden for his clients, Robert can design extras such as bespoke garden furniture, seats and swings and can even source the finishing touches such as statues and pots. A garden should not be a worry or a chore, it should be part of your home, a place to relax and to entertain, to gain pleasure and a place for your children to play and be safe. These things are not exclusive to big budgets or large spaces. Let us help you to enjoy your garden as never before. 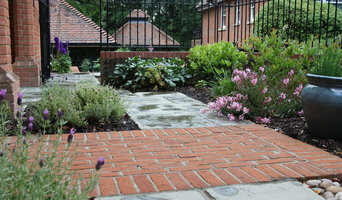 Garden Design We can plan any size of project, from a complete garden to a small area. If you need some suggestions or have a style in mind, we’ll work with you to create a garden that is beautiful, practical to build within an agreed budget and easy to maintain in the future. Landscaping Have your designs and ideas implemented by our experienced new forest landscaping team to your complete satisfaction. We can create all the features of a garden from the hard construction elements such as patios, drives, walls and pergolas to lawns, trees, shrubs and flowers. Maintenance Take the strain out of owning a garden by letting us handle your maintenance work. We provide one-off, seasonal or more regular visits by our gardeners to carry out: planting, mowing, pruning, weeding, tidying, spraying and any other garden tasks.